They love to roll around in the mud together. 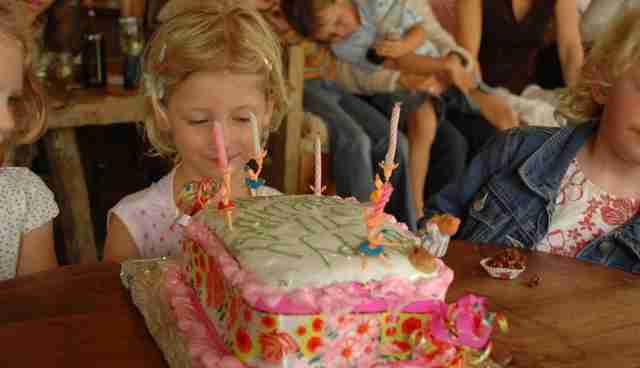 Growing up on a sprawling animal sanctuary, you might think there would be no shortage of animals for a little girl to call her friend. 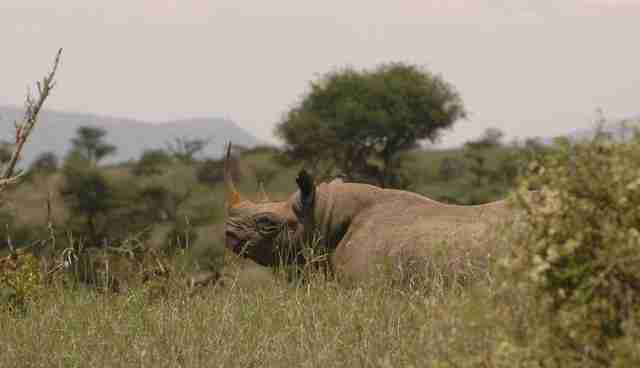 After all, the Lewa Wildlife Conservancy in northern Kenya hosts animals of every stripe - zebras, leopards, rhinos, elephants. All of them living free on these rolling 62,000 acres, under the watchful eye of rangers. It's one of precious few patches of peace in the world for these animals, many of whom have been hunted to the brink of extinction. But a girl who lived at the sanctuary with her parents back in 2008 couldn't find a single one she could call a pet. Tiva, you see, wanted a dog. The trouble is, dogs are about the only animal who didn't fit in well with rhinos and lions and the other wildlife. But the friend Tiva had been looking for was already in her midst. 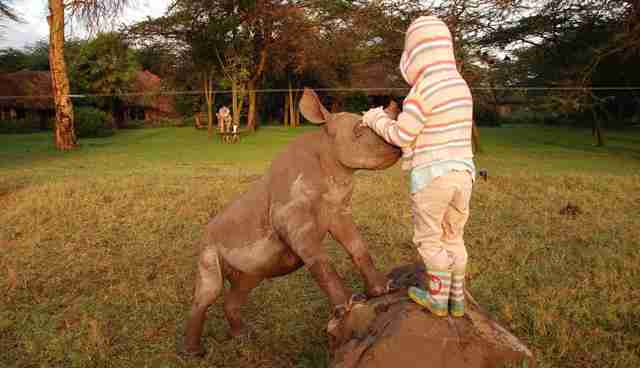 A rhinoceros named Lola was born at the park to a blind mother. And one day, her mother wandered off to another area of the vast conservancy. Neither mother nor daughter found each other again. Without her mother's protection, Lola was vulnerable to the sanctuary's many predators. Park rangers decided to bring the baby rhino closer to the Tiva's house in the park, where she could get the care and companionship she needed. Little rhino got the friend she needed. And little girl got her "puppy." Getting a fairytale kind of feeling from this story? You wouldn't be alone. The story of this friendship - one that lasted until Lola was stronmg enough to return to the wild - inspired a children's book by Craig, Isabella and Julianna Hatkoff called Lola and Tiva: An Unlikely Friendship. The story, laced with photos of that friendship taken by Australian journalist Peter Greste, paints an epic in the simple brushstrokes of everyday interactions. "This was about a young person and a young animal fulfilling two different needs," Hatkoff tells The Dodo. "Lola needed to be taken care of. And Tiva, who was desperate to have a dog and needed a friend. "It's a sweet story about friendship." 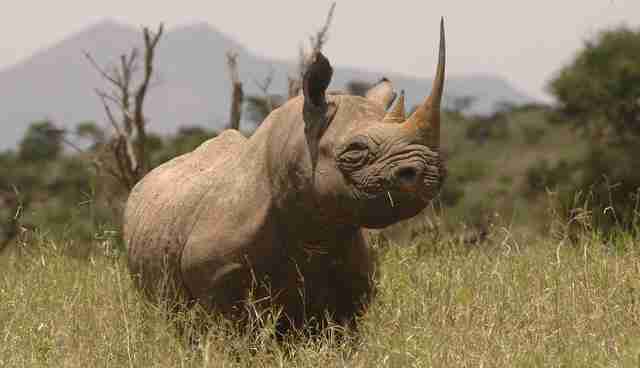 Rhinos don't have a reputation for being particularly docile. In fact, they can be notoriously aggressive, especially when humans get a little close to their turf. 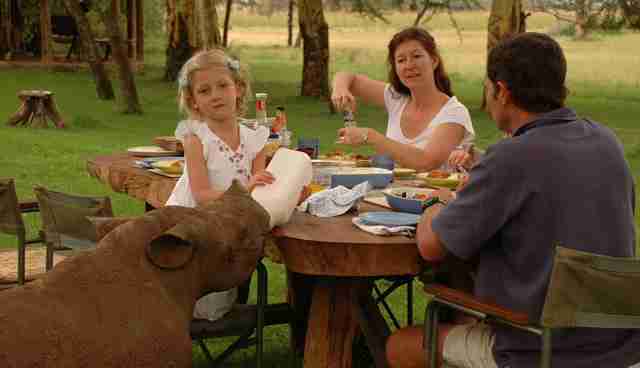 But Lola was hardly a typical rhino. Hand-reared at the sanctuary, and in the constant company of her best friend Tiva, Lola spent her earliest days as family. 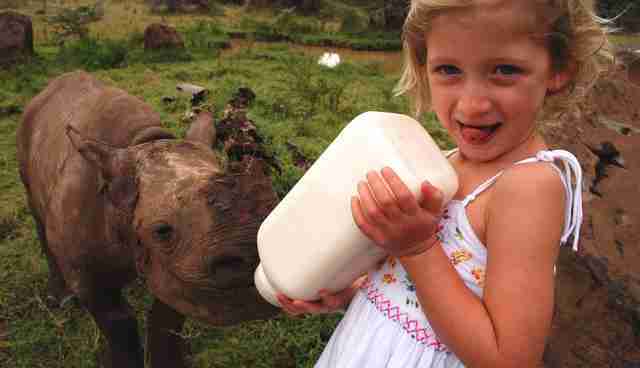 "It was so unlikely that a little girl would have a rhino as a pet," Hatkoff says. But the images make it seem the most natural thing in the world. "The dramatic pictures are the two of them rolling around in the mud," he notes. 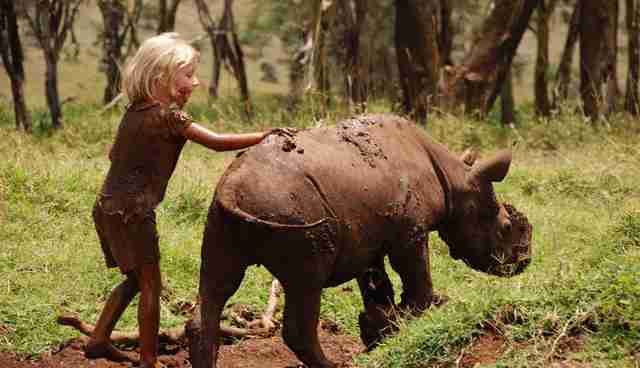 "Rhinos need mud so they don't get sunburn. 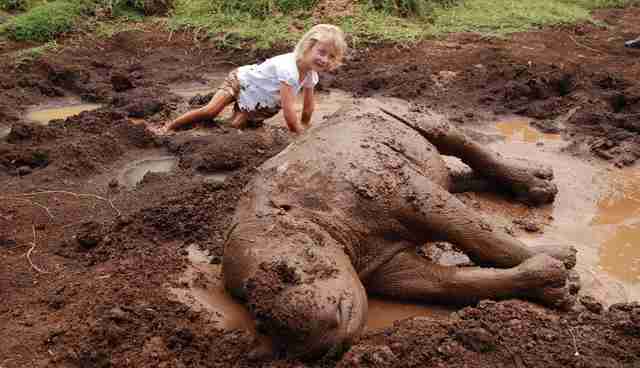 The little girl is wearing a white outfit and the next thing you know she is rolling in the mud puddle with the rhino." And together, Tiva and Lola learned a thing or two about the world they were born into. 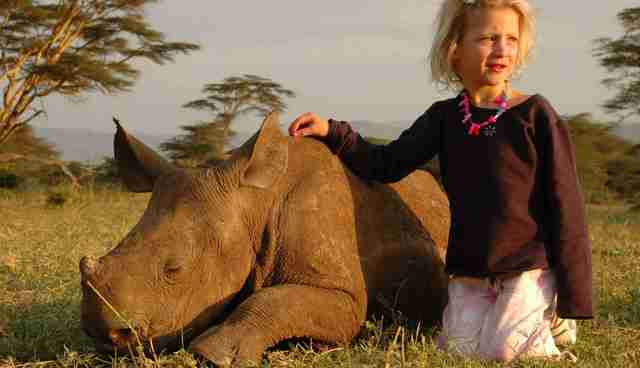 "Lola learned about being a rhinoceros. Tiva learned about being a friend," Hatkoff notes in the book. When she was old enough to care for herself, Lola was moved to the nearby Ol Pejeta Conservancy, where she lives today, staff there confirmed to The Dodo. 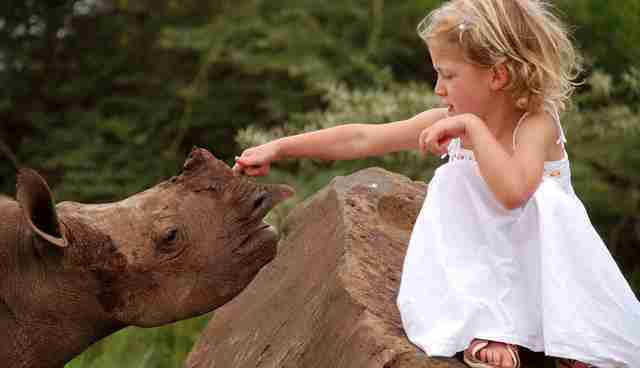 She's a powerful rhino in the full stride of adulthood. And, although her best friend Tiva is no longer at her side, the lessons learned while they were both children will serve them well for the rest of their lives. One of them may be that you don't always get the friends you want. But sometimes, at just the right time, you get the friends you need. If you would like to read more about Lola and Tiva, you can get the book here. 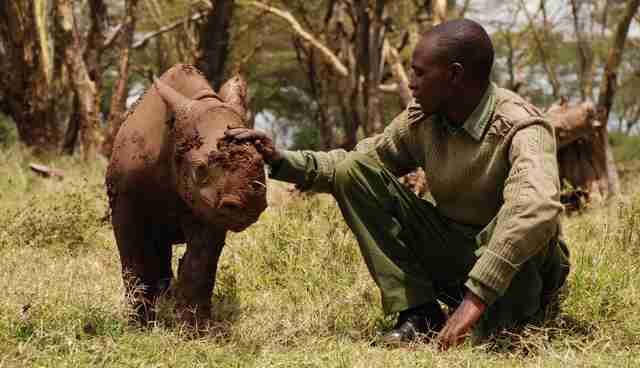 You can also make a donation to Lewa Wildlife Conservancy - and support its mission to save countless animals like Lola.